This morning I got to share with all of you one of my favorite moments of 2013. 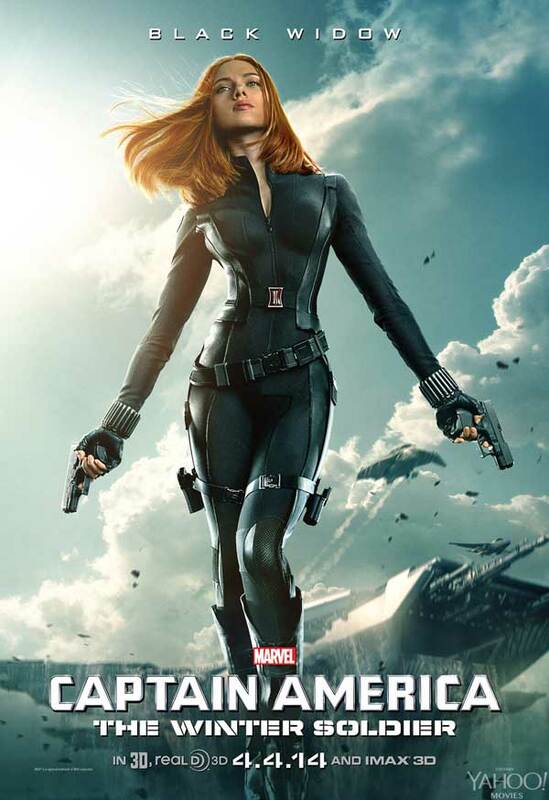 Last summer I took a drive down to Manhattan Beach, CA where I got to visit the stages of Marvel Studios, watch some of the filming of Joe and Anthony Russo's Captain America: The Winter Soldier, and talk with the cast and crew - including star Chris Evans. The actor was incredibly insightful during the interview, giving myself and the small group of other journalists on the trip with me a real chance to travel into the mind of Captain America and really see what makes him tick after being frozen alive in the 40s, thawing out in the present, and fighting off an alien invasion. If you haven't already read it I definitely recommend checking it out, because now as a bonus we have three brand new character posters for the upcoming comic book blockbuster. "It's just such an odd pairing. We're such different people. Her moral compass is for sale, and Steve is a boy scout. So it's interesting what they find in each other, and outside of the movie, Scarlett and I have known each other for a long time. We just constantly make jokes about how many movies we've made together. So it's very effortless. We get along very well, and I think that shows on screen." 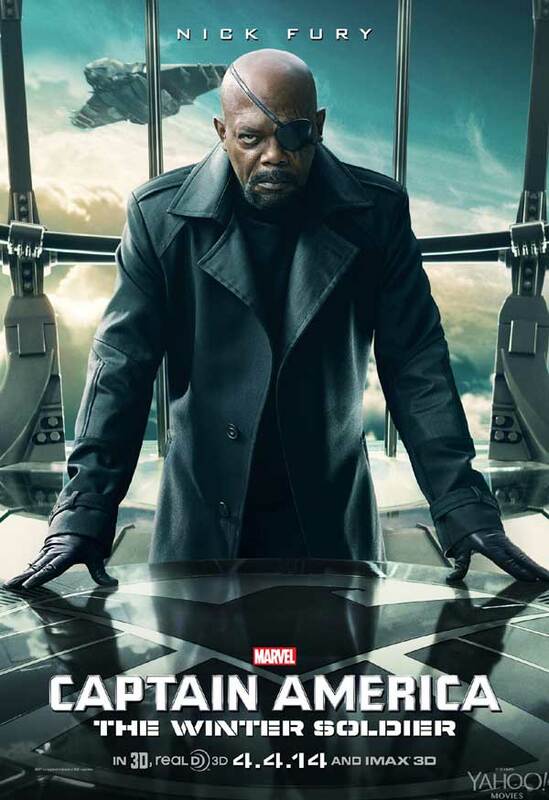 Hopefully this isn't the end of this line of character posters for the new Marvel Studiosand that in the next few days we'll get to see designs for characters like Sam Wilson (Anthony Mackie), Brock Rumlow (Frank Grillo), Agent 13 (Emily Van Camp) and Alexander Pierce (Robert Redford) - but nothing is guaranteed at this point. So just keep your fingers crossed. 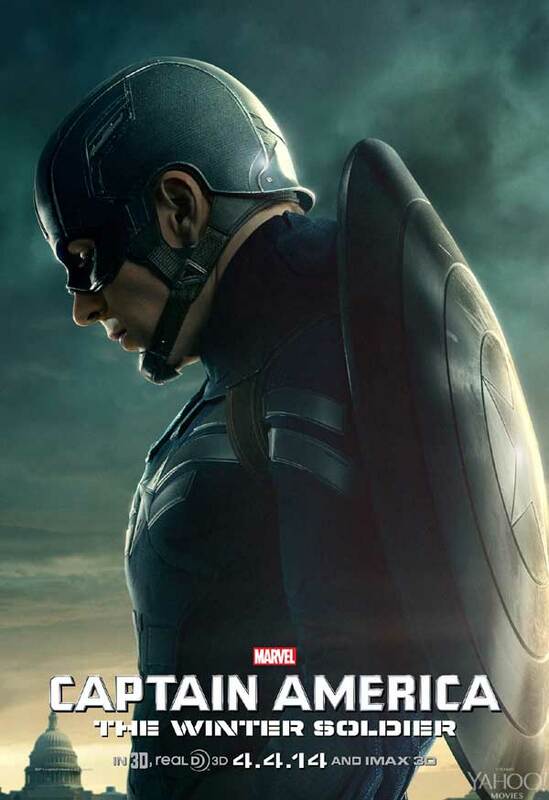 Captain America: The Winter Soldier will be in theaters April 4th.